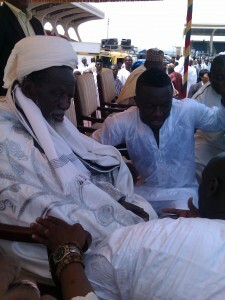 Ghana midfielder Sulley Muntari celebrated the Islamic Eid festival in grand style yesterday when he joined the leader of Muslims in Ghana during prayers at Independence Square. Sheikh Osman Nuhu Sharubutu offered prayers for the Black Stars ahead of Fridayâ€™s match against Swaziland after Muntari made an appeal to the highly respected Imam. 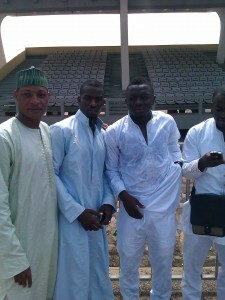 Muntari was given the permission to join his fellow Muslims for the one-hour ceremony. Muntariâ€™s popularity among Muslims in Ghana was clear when he was asked to join the Imam where the dignitaries and the countryâ€™s president John Atta Mills were seated. It took 20 minutes for heavily armed security officials to get him through the crowd who were ecstatic on seeing the players known for fasting while playing matches. 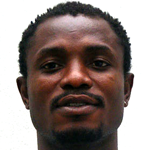 â€œIt is always nice to celebrate the Eid in Ghana as I have not done so in this country for many years,â€ Muntari said. â€œWith my friends and family around I have thoroughly enjoyed it and enjoyed the support from all the fans who made prayers not only for me but also for the Black Stars. The festival was meant to celebrate the end of 30 days of fasting. The Inter Milan star was celebrating the festival in Ghana for first since he moved to Europe as a child as club commitments have prevented him from enjoying the big festival in his country over the years. Meanwhile, Andre and Jordan Ayew also prayed at the Nima Park to mark the end of Ramadan. The sons of legend Abedi Pele were also mobbed in Nima where they enjoy massive support. That is the prodigal son,May Allah answer our prayers. Nice!May Allah answer all our prayers,i wanna use this platform to wish all Moslems a very happy Eid Mubarak,May Almighty Allah bless us all. Does anyone knows a site where I can see the Gh v sw game tomorrow? phillbanger its GHANALIVE.TV .pay attention to da comments!!! Dis young man will surely bounce back. Trust me. can someone please tell me where i can watch ghana and swazis game?